What’s the most popular marketing technique for entrepreneurs in 2016? 49% of the 1,000+ U.S. entrepreneurs we surveyed said their most effective way to get new customers is through referrals and word-of-mouth marketing. That might make you wonder: why is there so much hype around digital marketing if getting people to tell their friends is still the most effective way to make sales? Does this mean that digital marketing is a waste of time for small businesses? Absolutely not. Word-of-mouth marketing isn’t getting washed away by the digital marketing wave, but it is changing shape. Savvy business owners are finding ways to make word-of-mouth marketing even more powerful by taking it online. Free Guide: Download "11 Tools to Take Word-of-Mouth Marketing Online"
Is It Worth It to Take Word-of-Mouth Promotions Online? So say you’re one of those entrepreneurs who gets most of their customers by word of mouth. Is it worth it to take what’s already working and turn it into a digital campaign? I’d consider the following factors. Customers trust other customers. Not only do entrepreneurs rely on referrals and word-of-mouth marketing for customer acquisition, it’s also the way that consumers prefer to find purchases, according to a 2013 Nielsen report on consumer trust in advertising. 84% of respondents from around the world chose “recommendations from people I know” as their most trusted source of information. Big brands are doing this … but you can do it better.If you pay attention to what mega-brands are doing with their marketing, you might have noticed a recent trend of partnering with “influencers”—celebrities, bloggers, and popular social media personalities that brands pay to publicly use and post about their products. The problem? It’s expensive, and the ROI is hard to track. Startups and small businesses are typically better able to reach out to their audience directly—and potentially connect real people with one another, rather than paying celebs. It’s almost-free advertising—and R&D. Word-of-mouth marketing is a natural strategy for startups that may not have the budget to unleash a slew of expensive ads. By bringing it online, you can do more of it while getting better insight into what your customers are truly finding the most valuable. Instead of seeing a big digital challenge, think of this as a way to generate more conversations with your customers. Here are some ideas. Referrals and recommendations are the backbone of good word of mouth for most businesses. But in the offline world, they’re a bit unpredictable, and their reach is usually limited. You can try to stack the deck by doing things like offering discounts to customers who refer other clients, but you’re still relying on one-to-one conversations. And that’s a slow way to grow. Moving referral campaigns online can help you scale in two major ways: by generating referrals automatically, and by giving each referral or recommendation a wider reach. 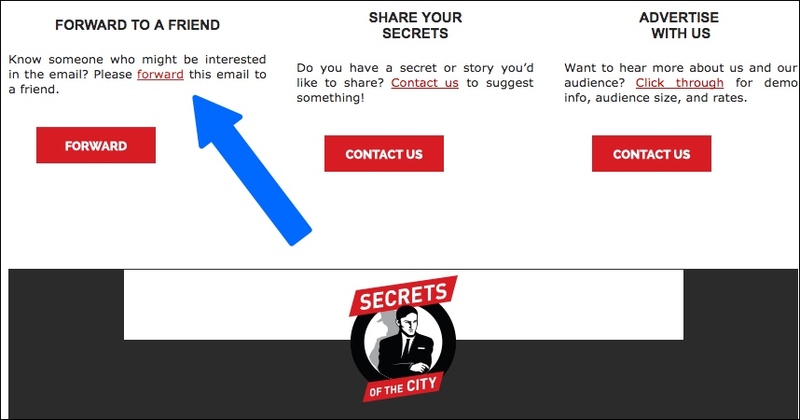 Add a referral or review request to your welcome email sequence. That customer who walked out the door an hour ago—did you remember to tell her about your referral discount? You can eliminate that uncertainty by adding a direct request for a referral or review (or both) to your welcome email series. Just ask nicely, make any rewards clear, and make it easy by including all the links customers need to spread the word. I predict you’ll be surprised by the results. Reward customers for referrals and reviews. Most offline referral programs have a natural limit created by a) the ability of any one person to make referrals, and b) the rewards you’re able to offer. For example, say you run a hair salon and you give customers a discounted haircut for each person they refer. That’s a great start, but customers don’t have an incentive to make more than one referral about every six weeks, since they wouldn’t be able to redeem rewards more frequently than that. Cultivate new, high-profile customers. 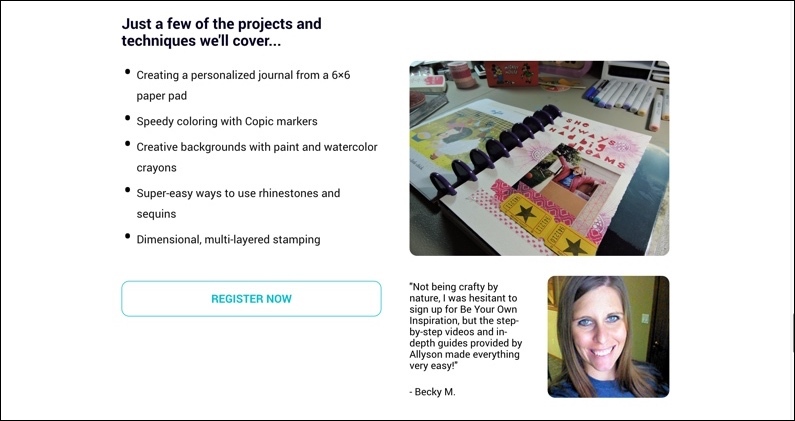 You can also try to connect with bloggers or even editors at local magazines and see if anyone would be willing to write a review in exchange for a sample of your product. Don’t hesitate to reach out to bloggers with a small following: a study from Markerly actually discovered that Instagram users with smaller followings had greater engagement. Users with under 1,000 followers recieved engagement on their posts 8% of the time, versus 1.6% of the time for users with 10 million followers. Once those recommendations start pouring in, you can do a few more things to make sure they can influence as many people as possible. Add them into your marketing assets and campaigns. You can also feature reviews on your website or landing page—and perhaps even solicit them from your most passionate customers in exchange for a link to their own business, if they have one. You can even use Leadpages’ Testimonial Sales Page template to build an entire campaign around positive word of mouth. A 2016 study from GlobalWebIndex found that 30% of global consumers and 40% of consumers ages 16–24 use social media to research products before they make a purchase. The tactics mentioned above can definitely help them find the good news about your company more readily. But, while it’s natural to tell your friend about a new purchase you loved (or didn’t) in person, it can come across a bit forced online. So how do you actually get people talking about your brand on social media? There’s one big rule of thumb here: pay attention, then follow up much like you would in person. Just respond. If someone made a nice comment to you in your store about a particular product you sell, you probably wouldn’t stare silently at them. You’d thank them—and maybe make sure they’ve seen any companion items that could make their purchase even more useful. Similarly, if someone had an issue in person, you wouldn’t ignore them, you would try to make it right. On social media, you should reply to all of the comments you get on social media (if you have the bandwidth). Think of your Twitter, Facebook, and Instagram pages less as a forum for advertising and more of an opportunity to connect with your customers and actually have a conversation. What’s your favorite story about (a related topic)? When followers answer, they can kick off a network effect. Depending on the platform, their own friends may be notified about their friend’s response, and may be intrigued enough to check out your brand for themselves. And that’s word-of-mouth marketing. We encourage conversation over on Twitter by hosting a #LeadpagesChat every week. We choose a theme and then ask a series of questions about marketing strategies. The questions we ask are indeed relevant to our ideal customer, but we’re not trying to give anyone a hard sell in these conversations. They’re an opportunity for everyone to learn and engage. Make sure great offline experiences get shared online. Then there are the above-and-beyond moments people tend to talk about in any medium—times when you were able to make a customer feel like the most important person in the world. You can create and celebrate these moments online as well as off. Even a customer service hiccup can turn into a highly shareable customer-experience story with a little creativity. In the early days of daily-deals site Groupon, the customer service team was in the habit of asking unhappy customers what they could do to make up for the poor experience. When one customer sarcastically responded, “You could send me a pizza,” the support team arranged for a hot pepperoni pie to show up on his doorstep that same day. The customer wasn’t just placated—he was delighted. And you can bet he told his friends about the strange surprise he’d received from a company he might’ve otherwise given up on. If your team goes above and beyond in an especially creative way, post about it on social media. The customer in question might even be inspired to share or chime in. Digital word of mouth can be a good way to get people through the door and to your in-person event. If you use Leadpages, you’ll notice that most of our event pages include prominent social share buttons. People often prefer to attend events in groups, so this is an easy win. But you can take it a step further once they opt in. Instead of your event attendee clicking away to whatever page they’re going to next, why not get them to invite their friends? If they’re already coming to your event, chances are they know someone who should be there too. You can extend the invitation by building a thank you page that encourages them to share and invite their friends. (It’s easy in Leadpages.) Instagram expert Jenna Kutcher used this page to thank people who signed up for her online Instagram challenge, but you could just as easily encourage attendees for an in-person event to share with their friends using the same strategy. Just about everyone likes to feel special. If you’re doing any kind of social media, you have an opportunity to highlight your best customers—and inspire them to show off the compliment with their own connections. As you can see in the comments, this post definitely sparked interest in the company’s products. You can also hold a photo contest with prizes beyond mere exposure. 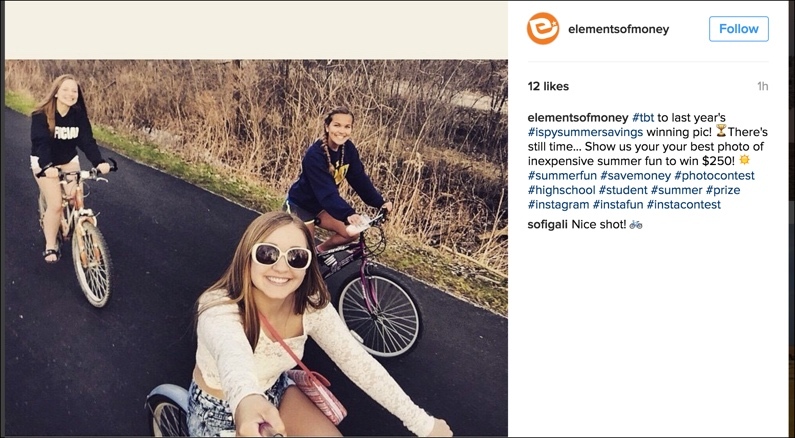 In this example, financial education company Elements of Money builds awareness (and offers a $250 prize) by asking followers to share a photo of low-cost fun. These strategies engage your customers in a conversation with your brand and give them a chance to share with their followers what they love about your company. They also give you some stunning visual content that you can use in your promotions (with permission). Plus, most Instagram users will be excited to be featured, further increasing positive associations with your brand. Win-win-win-win … I lost count, but that’s a lot of winning. These word-of-mouth strategies won’t replace a happy customer telling a friend about a great experience. That will never go out of style. But even the most old-school marketers can take online opportunities to foster connections with their companies where your customers hang out most—on their screens. Let us know in the comments: how do you create word-of-mouth buzz around your brand? We talked a lot about Instagram in this post, but success on this platform doesn’t end with creating beautiful images. 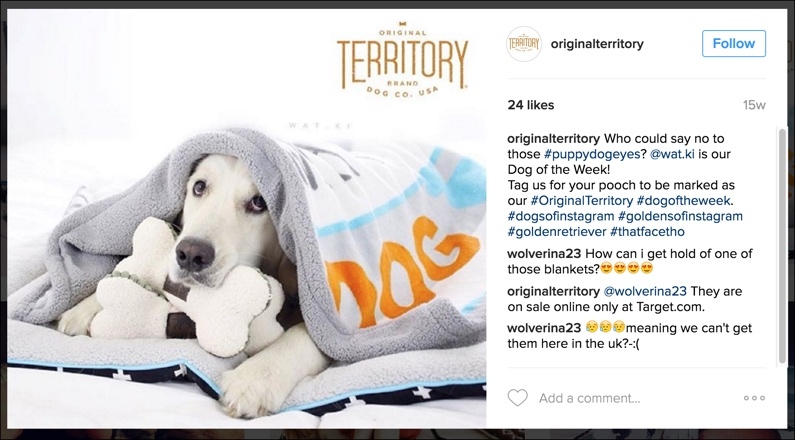 Read this companion piece to make your Instagram presence a connection and conversion machine. Don’t waste your time and energy on a social media site your target audience just isn’t interested in. Here’s a guide to finding the right channels for your business.